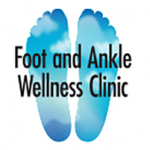 Dr. Mancherian and the team at Foot and Ankle Wellness Clinic in Los Angeles and Glendale, California offer state-of-the-art care for plantar fasciitis. Patients from throughout the Los Angeles area who have chronic foot and heel pain or other symptoms of plantar fasciitis can find effective relief with a treatment plan based on their specific needs. The plantar fascia is a tough fibrous band of tissues that extends along the bottom of the foot from the heel to the fleshy portion at the base of the toes (the ball). The role of the plantar fascia is to support the arch and the middle portion of the foot. Plantar fasciitis can become a chronic condition that develops when this band of tissue becomes irritated and inflamed due to stress. People who have plantar fasciitis experience symptoms like pain throughout the bottom of the foot concentrated in the heel area, as well as persistent numbness and burning sensations in the bottom of the foot. Symptoms are generally worse in the morning after the tissue has “stiffened up” during sleep or following other long periods of inactivity. In most cases, the symptoms will be somewhat relieved by movement during the day, which promotes circulation to the plantar fascia. Plantar fasciitis is more common with older age, but not exclusively. Age, increased body weight, overuse, and poor shoe choices contribute to developing plantar fasciitis as well. Having medical conditions that compromise circulation can also increase the risk for plantar fasciitis in some people. Being overweight places increased strain on the foot, resulting in inflammation and irritation of the plantar fascia. People who spend a lot of time on their feet each day are also at an increased risk, as are some athletes. Plantar fasciitis often responds to conservative approaches like stretching exercises, icing techniques, special splints to help improve the flexibility of the plantar fascia, and custom orthotics to help support the tissue and relieve strain. Oral pain relievers and corticosteroid injections can also help by resolving inflammation and pain. In very few cases, surgery may be needed to detach and reposition the plantar fascia or to remove painful heel spurs. Dr. Mancherian offers a unique natural treatment called Prolozone which is an injection that naturally reduces inflammation and assists the body in healing the damaged tissues on its own. We accept most PPO insurance plans as well as Medicare. Please call to confirm your insurance coverage.